Growing up, how did you mourn the end of summer? In Truest, the small town of Green Lake has a street dance the last Friday before Labor Day. In my hometown, we used to have a Labor Day pig roast– I hated having to go home early because we had school the next morning! This entry was posted in green lake MN, truest, Truest Jackie Lea Sommers and tagged green lake, Silas Hart, Truest, truest jackie lea sommers, Westlin Beck by Jackie Lea Sommers. Bookmark the permalink. 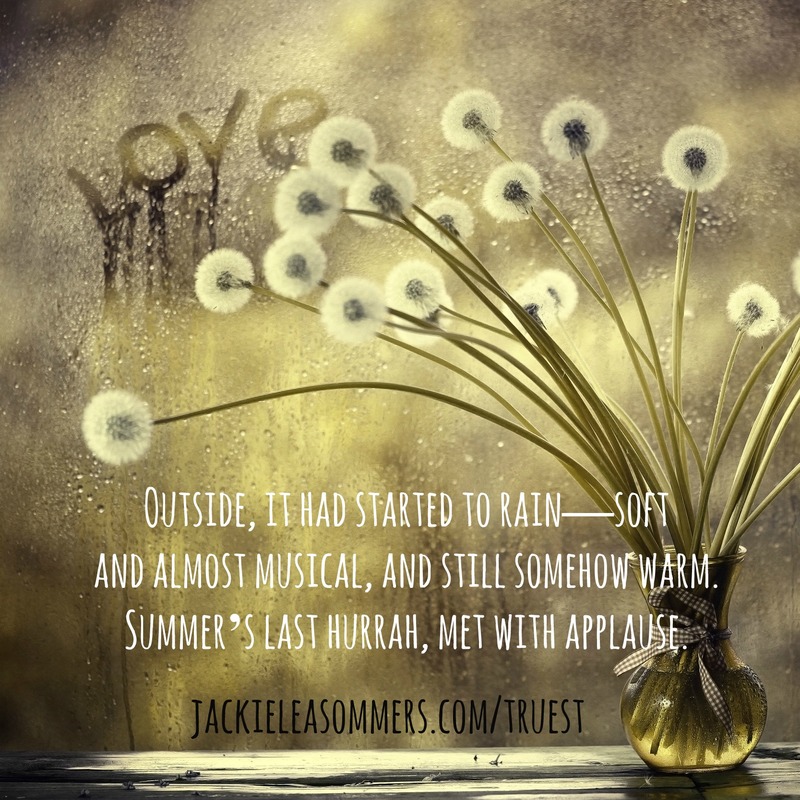 Jackie Lea, it seems that every day, I open my email and find these lovely picture quotes from your book. How do I make my own – what site or app are you using? I’d love to do these for my own book! I buy images at dollarphotoclub.com and edit them at picmonkey.com. There are some great FREE images at unsplash.com.